The scale and diversity of Tokyo makes it hard to condense into a short travel write-up, especially the outdoor scene which caters for all and sundry. Having said that, what follows is a brief rundown of some indoor and outdoor activities available in and around Tokyo. Surprising as it may seem, it’s not overly difficult to escape the neon lights and fast paced living as Tokyo and the wider Kanto region contains many pockets of stunning natural landscapes offering us city dwellers places to recharge. For short term visitors looking to shake off the bustling metropolis, there are plenty of self-guided trails and organized outdoor tours to help you get the most out of your stay. Whether your interests lie in mountaineering, canyoning, rafting, bungy or mountain biking there are plenty of seasoned pros on hand to show you the ropes. Kanto Adventures High alpine extraordinaire David Niehoff offers a wide selection of outdoor adventures tailored according to your skill level and interests. Canyons Japan Mike Harris brings his experience and know-how with canyoning and rafting tours (Gunma Prefecture). Bungy Japan Under the skilled tutelage of Charles Odlin, experience Japan’s only bridge bungy jump (Gunma Prefecture). MTB Japan Mountain biking maverick Nathan Bennett will help you get up to speed in Minakami a hot spring and outdoors sports town (Gunma Prefecture). 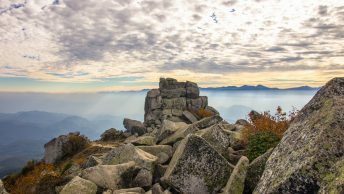 Outdoors & Adventure Meetups in Tokyo For some freebies try Outdoors & Adventure Meetups happening near Tokyo. Hiking in Japan A definitive resource for all things hiking is Wes Lang’s guide to Japan’s day hikes and treks. On the outskirts of Tokyo there plenty of excellent day trips waiting to happen. One area not to be missed is Okutama, a sleepy village in the far western reaches. A couple of the better spots in this part of Tokyo include, the Nippara Caves – one of the best karst limestone caves in Japan. There’s also a gentle 10 km hiking trail called the “Okutama Mukashi Michi” that stretches from Okutama Station to Lake Okutama trailing the picturesque Tama River. The town also serves as a base for countless nearby hiking trails. An hour train ride away is the family friendly Mount Takao with numerous paths winding up to a Buddhist temple near the summit. While the place can seem like a madhouse during weekends, it’s a wonderful location to take in Mount Fuji. 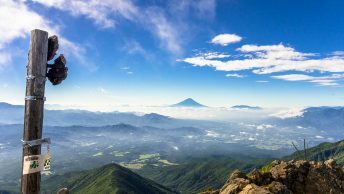 For more challenging multiday treks visit “Tokyo’s playground” the Chichibu Tama Kai National Park which reaches as far afield as Nagano Prefecture. Several of the mountains here soar above the 2,000 meter ceiling. Neighbouring Saitama Prefecture also has several great locations including Nagatoro with an adjoining gorge playing host to riverboats and rafting adventures. Tokyo also has a number of decent sized parks to kick back in. Popular is Showa Memorial Park in Tachikawa around 30 minutes from Shinjuku Station. The 165 hectare park is crisscrossed with cycling trails and hiring a bicycle or tandem is a nice way to spend a leisurely afternoon. Inokashira Park west of the city near the trendy enclave of Kichioji has an interesting weekend art market. For free inner city parks, head to Yoyogi Park next to Meiji Jingu Shrine and Hibiya Park, bordering the Imperial Palace. Relaxing in a natural hot spring (onsen) is one of highlights about living here. In the heart of the city Spa Laqua near the Tokyo Dome includes both indoor and outdoor baths. During the summer months there are also plenty of cheap outdoor swimming pools including the Wadabori Outdoor Pool (Nishi-Eifuku Station), Meguro Citizens Center Gymnasium Pool (Meguro Station) and the Aqua Field Pool under the footsteps of the Tokyo Tower. Many rural train stations have nearby hot springs to soak your weary body after a long hike. For indoor escapades a great place to get a bird’s-eye view over Tokyo are the free observation decks atop of the Tokyo Metropolitan Government Building, providing panoramic views of the city and beyond. For a modern architecture fix, Tokyo Midtown in the Roppongi district includes many chic shops and restaurants along with a pleasant Japanese style garden. For better or worse Akihabara or Akiba has become a mecca for not only electronics shops but anime and manga otaku diehards. In recent years cycling tours in Tokyo have come to the fore, with Tokyo Great Cycling Tour offering sightseers a sampling of the major tourist sites by pedal power. Finally, for a little quirky fun try a Hato Bus Tour with good value tours to most popular locales including English speaking guides. Hiking in Japan has really taken off of late, particularly among young urban women known as Yama girls (mountain girls) taking to the trail in their droves. The mountaineering market in Japan is a worth a cool ¥186 billion ($1.5 billion USD) so it’s not surprising Tokyo has a large number of outdoor stores meeting the demand. Some of the better ones are ICI Ishii Sports in Harajuku, Kamoshika in Takadanobaba and Sakaiya in Jimbocho. For equipment rentals a good starting point are any of the ICI Ishii Sports stores which offer a wide selection of gear. A stylish bicycle shop worth dropping by is Crown Gears near Harajuku which is a veritable treasure trove of sports and vintage bicycles. 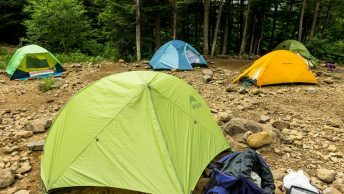 While kanpu jō (campsites) are not overly plentiful in Tokyo, Japan does in fact have several thousand, a few of which will allow you to pitch a tent for free. One of the better ones is the Hikawa kanpu-jō (in Japanese) in Okutama, only 5 minutes from the station. Another good spot is on the eastern side of the Chiba peninsula at Uchiurayama Kenmin no Mori (in Japanese) near Katsuura including 50 campsites and log cabins with nearby hiking trails. 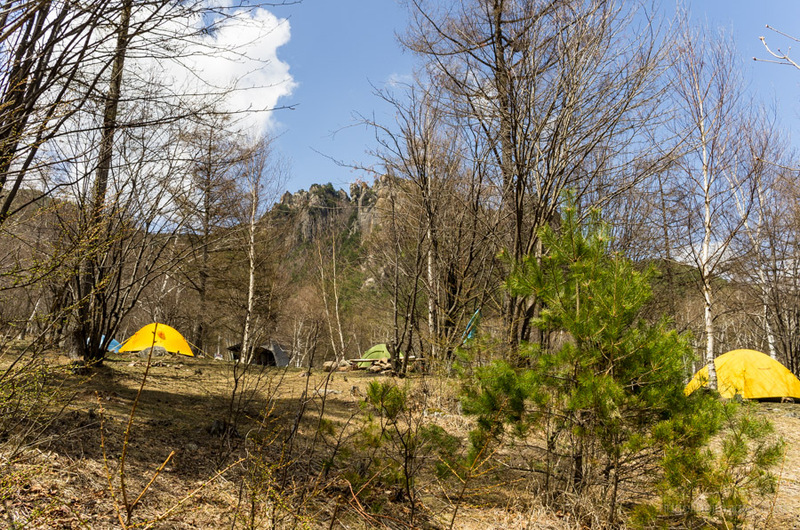 It’s even possible to camp in the 23 wards which make up central Tokyo for ¥600 ($5 USD) per person a night at the Jonanjima Seaside Park campsite in Ota ward and Wakasu-koen Park campsite in Koto ward. Stealth camping while not recommended within the city limits is very doable in rural areas, though watch out for no camping signs, remain discreet and be prepared to move on if requested. With literally thousands of restaurants and hole-in-the-wall watering spots it’s really just a matter of stumbling into whatever takes your fancy. Some personal favorites include Shin Hinomoto, under the tracks at Yurakucho Station run by Englishman Andy Lunt, a great place to get really good Japanese food – advance bookings recommended. One of the better Izakaya or pub chains is Doma-Doma, reasonably priced with English menus. For sushi lovers best bet is to go to the source with plentiful eateries next-door to the Tsukiji fish market – though the market will be relocating in late 2016. For an opulent dining experience it doesn’t get much better than Ukai which has several branches throughout the city. 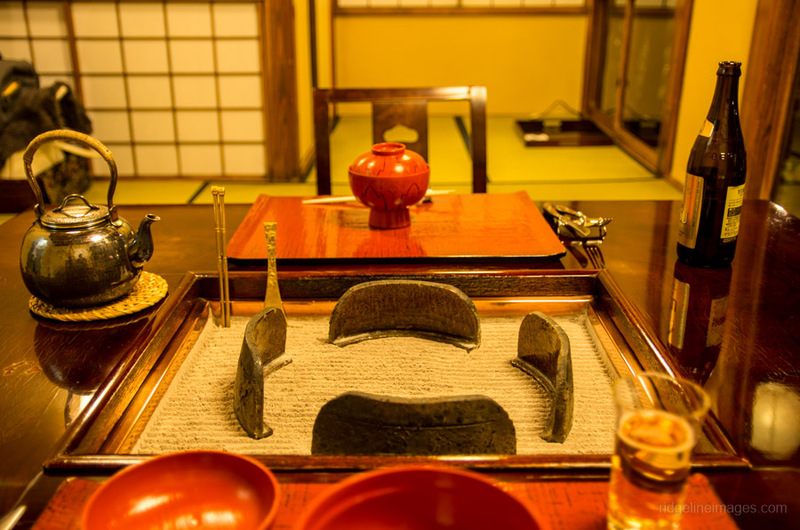 Ukai Toriyama in Hachioji City is well worth a visit, not only for the delectable grilled beef and manicured gardens but the omotenashi “generous hospitality” close at hand. If you’re looking for caffeine hit, Tokyo has borne somewhat of a coffee renaissance with several artisanal coffee houses making a mark on the city. For coffee par excellence it’s hard to surpass Paddlers Coffee in Shibuya with resident barista Daisuke Matsushima brewing some of the finest in town. For somewhere a little cosier, Streamer Coffee Company just around the corner churns out fantastic lattes and has comfortable sofas to chill out on. A couple of other shops worth visiting include Aoyama Flower Market Tea House complete with a floral inspired interior (Minato ward) and Viron, one of the better French bakery and brasserie’s in Tokyo (Shibuya). 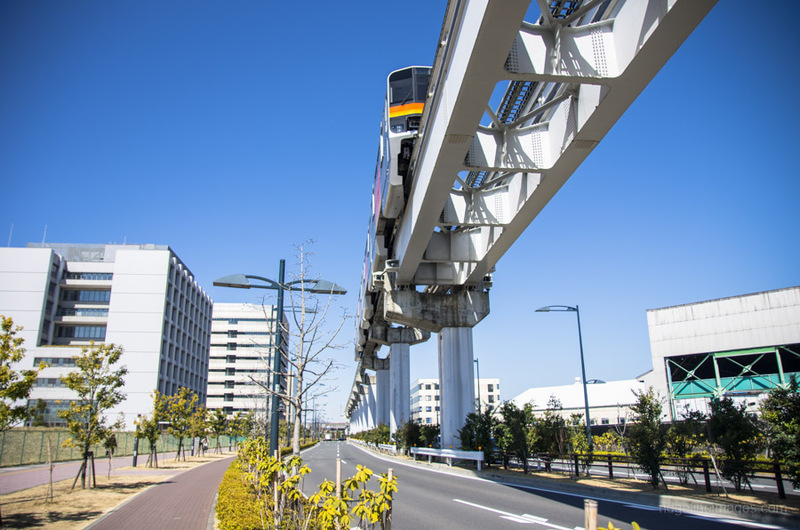 As can be expected from a world class public transport system, getting to most areas around Tokyo or Japan for that matter is generally painless. As the JR Pass only covers JR (Japan Railways) trains a good idea is to get yourself either a Suica or Pasmo IC card for non-JR stations or the subway. Most train information boards are in English, however travelling by public bus on the other hand can be confusing as bus destinations are sometimes only written in kanji (Chinese characters). Hitchhikers in Japan are a rare sight, although some travellers have re-counted tales of success getting to far flung corners not easily accessible by public transport. Similarly, if walking along a rustic stretch of road don’t be surprised to find a Japanese driver pull over and offer you an unexpected lift. While this guide barely scratches the surface of what the city has to offer, hopefully it provides some inspiration to start planning a trip to Japan. If you have any questions or suggestions about traveling in Tokyo or Japan generally, feel free to leave a comment below. Liked this Outdoor Guide to Tokyo, but you’re more likely to visit Stockholm, Helsinki or San Francisco next? Well, you’re in luck! This write-up is part of a collection of city guides compiled at Hiking in Finland. Direct your browser to the Outdoor Guide Directory and check out other outdoor guides from across the globe! Excellent post. I see your post and I am interested to go outdoors in Tokyo. I had no idea about Tokyo environment and activity. I pleased to your informative post. I hope could help me your information when I planning go there. Would you tell me about Tokyo and Beyond one week trip budget? Thanks for the comment. Travelling in and around Tokyo doesn’t have to cost a lot especially if you’re prepared to reduce your accommodation expenses by staying in cheap hostels. If your hiking and camping expect to pay around 9,000-yen for lodging plus dinner and breakfast at mountain huts. Basically, it comes down to what your expectations are and how much you have available to spend. At an absolute minimum expect to spend around of 6,500-yen a day by staying at hostels, eating 1,000-yen meals and sticking to free attractions. But realistically consider budgeting around 10,000 yen per day.